About 18 months ago, seven Western Cape entrepreneurs received grants of up to half a million Rands each from the second round of the Design Innovation Seed Fund (DISF) – we caught up with them to find out how things are progressing with their cutting-edge innovations. The DISF is a project of the Craft and Design Institute (CDI) with investment and management funds respectively provided by the Technology Innovation Agency (TIA) and the Western Cape Department of Economic Development and Tourism. The Fund is being managed by the CDI’s subsidiary CDI Capital, the CDI’s investment entity. “It has been a privilege to facilitate TIA’s investment in these seven companies. It is rewarding to see their inventions materialise and know that you played some small role in supporting their future success. Many of these inventions have potential for social and economic benefit for South Africa and the rest of the world. I look forward to seeing the impact of the investment in these inventors in the near future,” said Ryan Rode, CDI Capital’s coordinator. OptiShunt by Liqid Medical – OptiShunt is a highly innovative medical device which offers the first real hope for definitive prevention of blindness caused by glaucoma. In 2017, Liqid Medical finalised version two of the OptiShunt with all features coming out according to specification in production. In 2018, cadaver studies were completed, and an ISO 14155 clinical trial application was submitted to SAHPRA for approval. Local and international ISO13485 accredited manufacturers have been contracted to produce the clinical trial-ready version of the device. They have filed multiple local and international design and utility patents. They are now applying for additional technology development funding so that they can optimise the device’s safety and usability. This will provide patients with more benefits and increase the market size exponentially by allowing the device to be competitive in the booming micro-invasive glaucoma surgery market. MicroPatch by Incitech – a one-step transdermal rapid HIV test suitable for both professional and home use. It has been designed to make rapid testing easier and more accessible. Incitech have developed their functional prototype and have applied for a patent in March 2018. They are reviewing the design with independent product developers to get the final product closer to the initial concept. They are also speaking to end- and professional-users to ensure the product is as user- and market-focused as possible. Water soluble liquid oak extracts by Oranet – a liquid wood extract that will reduce and has the potential to replace the use of conventional barrels in the wine industry. Oranet have conducted successful bench trials with a local brewery have opened discussion about a full production-run trial and subsequent small-scale trials. They have also begun negotiations with other breweries with a view towards a trial in their labs in either late 2018 or early 2019. Market analysis and research is building a basis for financial modelling and forecasts to support a potential equity funding round. Suction Dissector by DISA Vascular – a new type of instrument for blunt dissection of soft tissue during surgical procedures. DISA Vascular are currently manufacturing the injection moulding tools for the main components of the device. The materials and pigments for the production samples have been ordered and tested. Other key components are being completed in preparation for the manufacturing of production samples. This includes the preparation of other device components, finalizing the production methods, and completing the required test protocols. During the next quarter, the final devices will be assembled and evaluated. Samples will also be used for biocompatibility testing and the sterilisation validation. Drone-based systems to deliver sterile insects over export citrus orchards by FlyH2 – FlyH2 is developing a unique fixed-wing insect release system that combats the False Codling Moth (FCM) – a pest that spoils fruits and which is a serious threat to SA’s export citrus markets. FlyH2 have been continuously developing their release platform, with various enabling technologies, including a unique insect release system, a fuel cell propulsion system potentially allowing all-day releases without refueling as well as the design of a new airframe, specifically well suited to fuel cell propulsion and carrying of variable payloads. 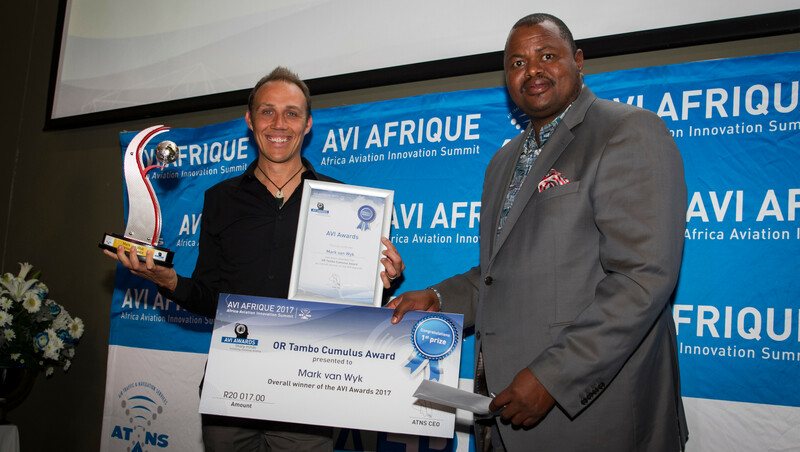 FlyH2 was recently awarded the prestigious OR TAMBO CUMULUS Award by Air Traffic and Navigation Services (ATNS) at their 2017 ATNS AVI-AFRIQUE awards ceremony. ASIS2 by Signal Biotechnology – a novel approach to developing a safe and effective bioactives for nutraceuticals. Signal have taken their next step towards the registration of the patent in 2018. They want to explore the licensing agreement route and are looking at providing contract research services to consumer heath companies. On the research side they have established relationships with relevant academic departments, government research bodies, downstream commercial companies, and regulatory experts. SmartBlade Video Laryngoscope by SmartBlade – the SmartBlade is video laryngoscope which harnesses smartphone technology to provide a guided indirect view of endotracheal intubation. In the second half of 2017, the team completed the pre-production product manufacture, with 50 units manufactured for market acceptance testing. The units are being used in mannequin trials at UCT Department of Anaesthesiology and Perioperative Medicine. They have also focused on the software development feasibility analysis, with the decision made for dedicated Android and iOS apps to be developed. Development of the business plan was completed for future funding applications and for venture capital, and they have a provisional patent application lodged. Supply chain research and evaluation has been done for potential contract manufacturers.